Andrew M. Herscowitz has been the Coordinator of the Power Africa since 2013. 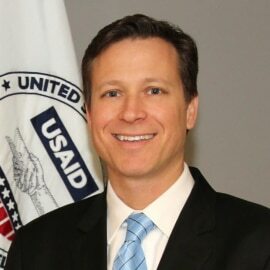 Prior to this appointment, he served as USAID's Mission Director in Ecuador from 2011 to 2013, and as Deputy Mission Director in Peru from 2009 to 2011. He is a Minister Counselor in the U.S. Foreign Service.